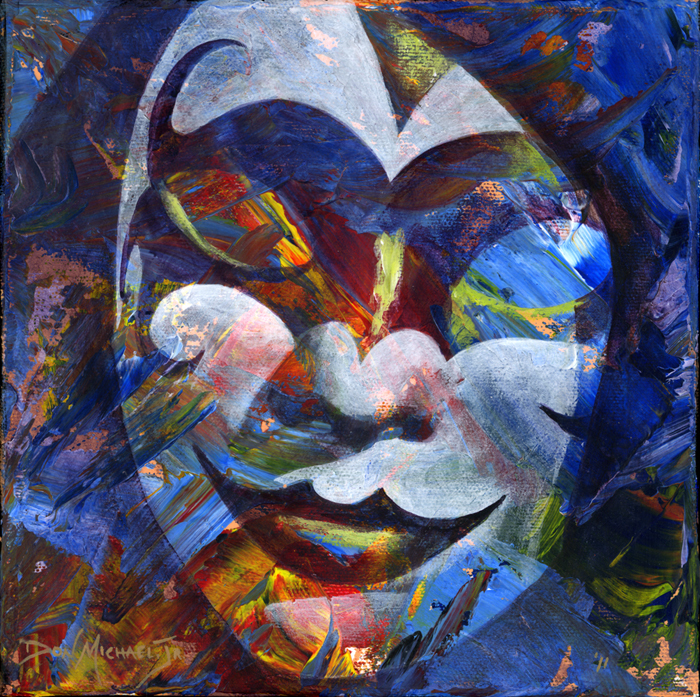 Here’s a new Over the Under-Schmeerings painting which uses yet another of my recently created masks as its subject matter. When I first started on this one I wasn’t sure if it was going to work the way I wanted, but once I started painting I became more and more excited with how it was coming along. 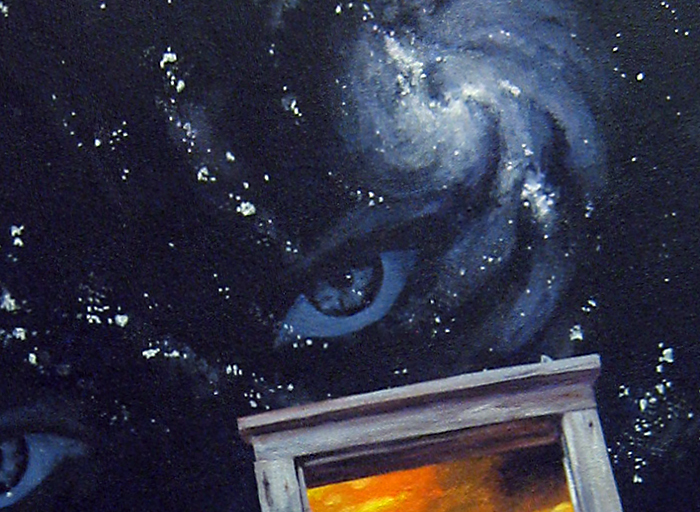 It’s always fun to paint, but it’s REALLY fun when everything goes better than planned. 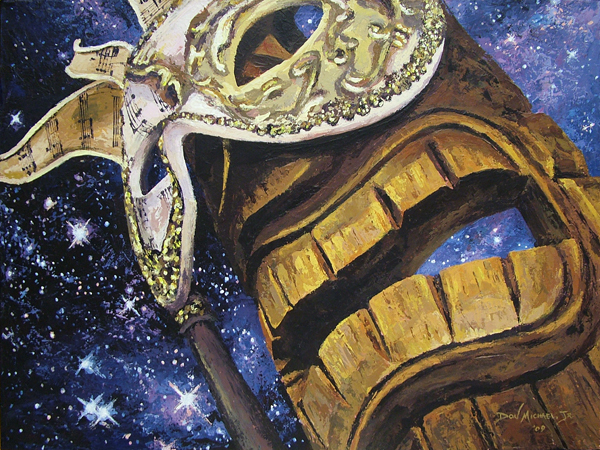 The mask used in Nocturne was one of the first that I painted earlier this month. I had originally planned on adding some more color to it, but as time went by I realized it was done. It’s name comes from my own abbreviation for Harlequin. So far this year I’ve finished 11 paintings, which is quite a bit behind where I was at this time last year (21). 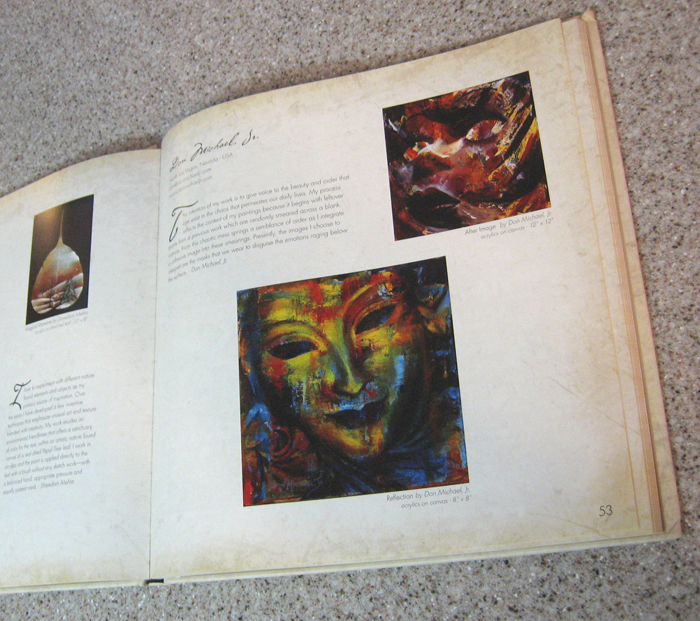 I was a little down on myself for a minute, but then remembered that I have also created 6 masks, 2 book covers and 4 acrylic lesson plans; all while sending off 6 paintings to 4 different shows around the country and appearing in 3 books. So, I think I’m still on track to continue calling this “Year Two of the Decade of the Don”. 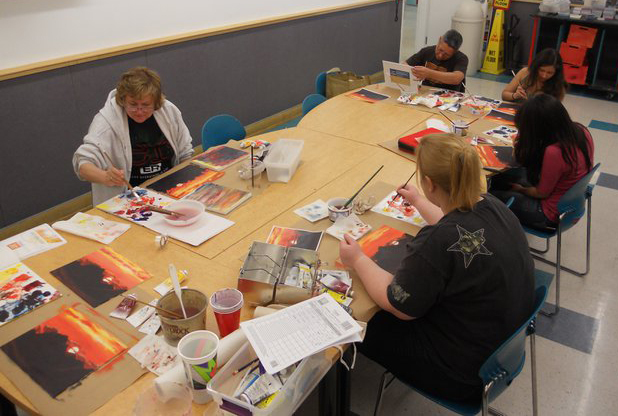 Now that my little pity-party is over and I’ve gotten my self-affirmation taken care of I think I’ll take a big gulp of my Pepsi, turn on some pounding Rock-n-Roll and head over to the easel. Here’s a little composition I came up with centered around one of the masks I created recently. As you can see in the photo of her model below, I took a few liberties with her coloring. That’s one of the things that makes this thing I do so much fun. 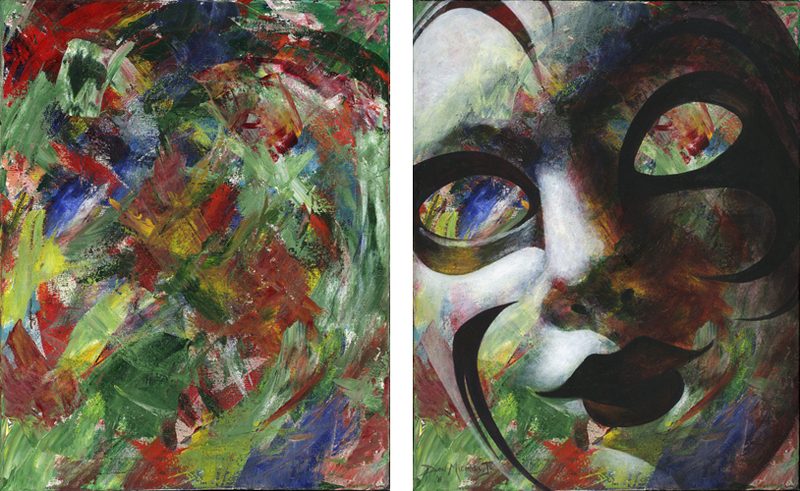 Both the painting, Moxie, and the mask, Coquette, will be on display at the Arts Factory next week for First Friday. Come on out to see them and swap a few lies with their artist. 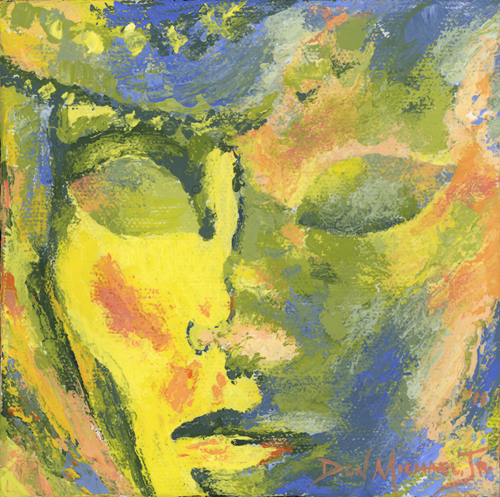 Here’s a little exercise I did yesterday with my palette knife. 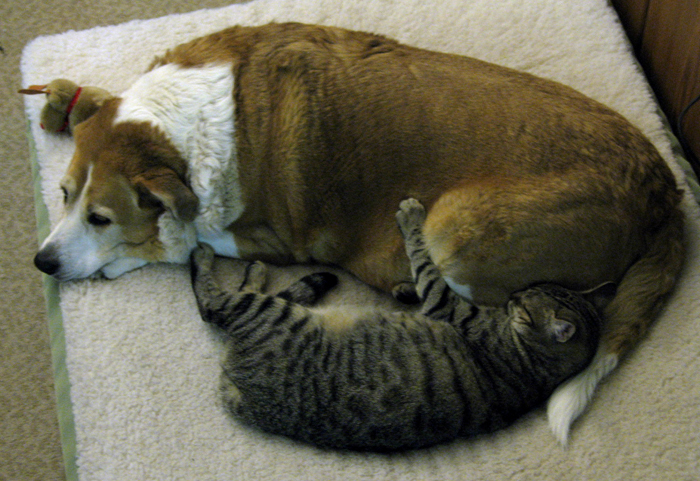 Speaking of which, I guess it’s time to get back to work. 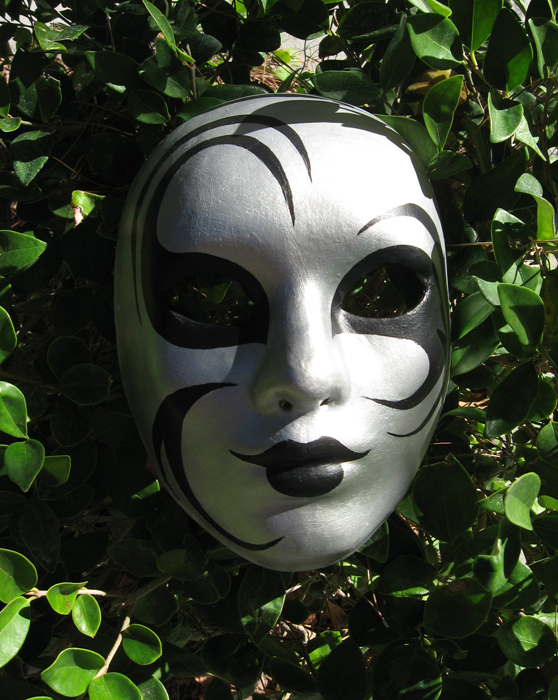 I started the first one by once again using the 3D paint I had experimented with on an earlier mask. I wanted to ‘take it up a notch’, so I really included a lot of swirls and spirals all tightly woven together. It took 3 sessions of using the 3D paint to get to the depth I desired. 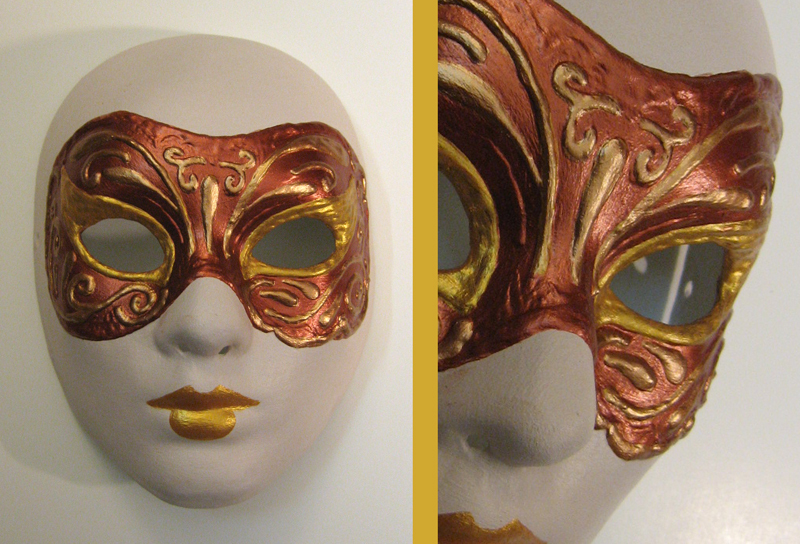 Over the 3D sections I used two different shades of metallic copper paint and one of metallic gold. 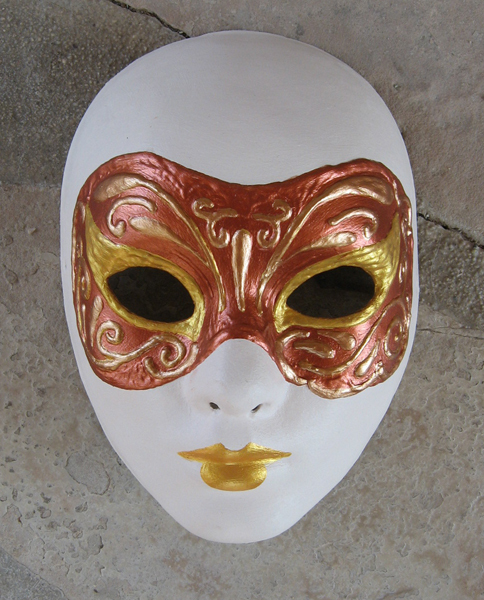 The rest of the mask is painted a light pinkish-orange – which is a mix of one of the coppers, the gold, and titanium white. 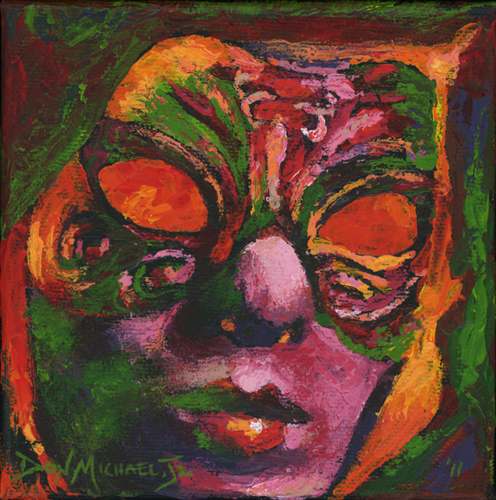 Coquette – Acrylic on paper mache mask – ©2011, Don Michael, Jr. 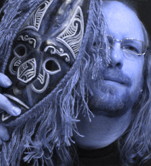 The following mask was one I created as a model when I painted End of Days to be used as the book cover for The Summoning Fire, by David Michael. 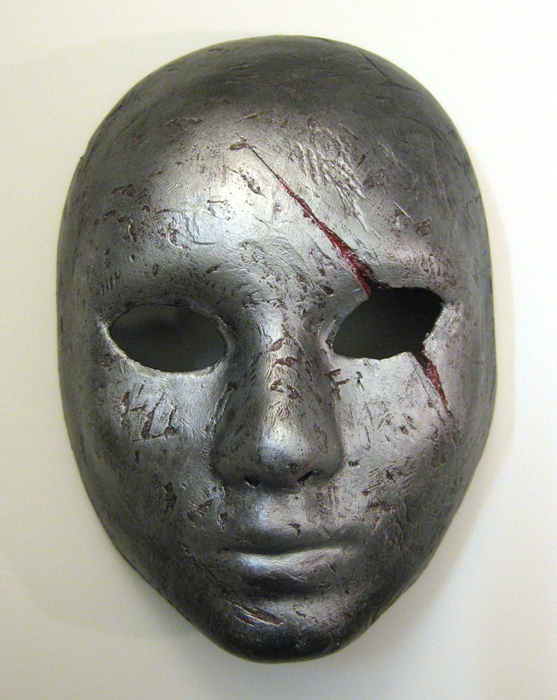 I had hacked at the mask with a serrated knife to give it a gritty texture and to create the scar across the eye. I had then forced an antique copper paint mixture down into the texture followed by lightly brushing silver across the top. That worked perfectly for my model. Yesterday I got it back out and decided to smudge Carbon Black paint all around the edges. I then gently brushed some Naphthol Crimson down into the scar. 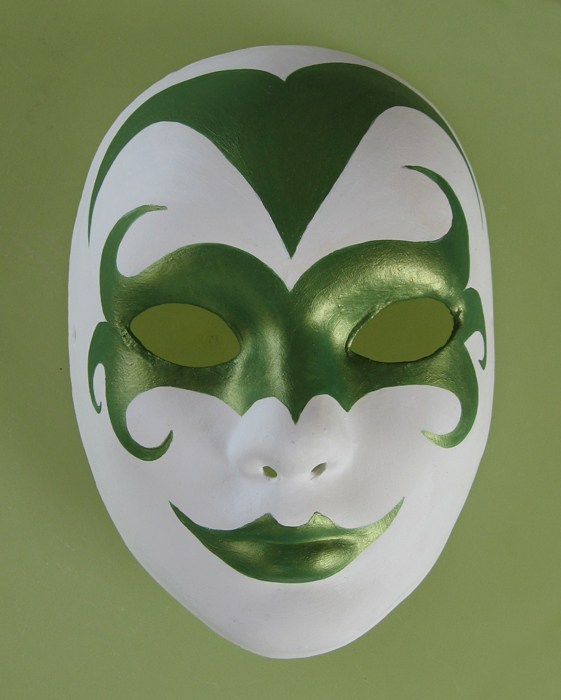 The name of this mask is the name of the protagonist in The Summoning Fire. 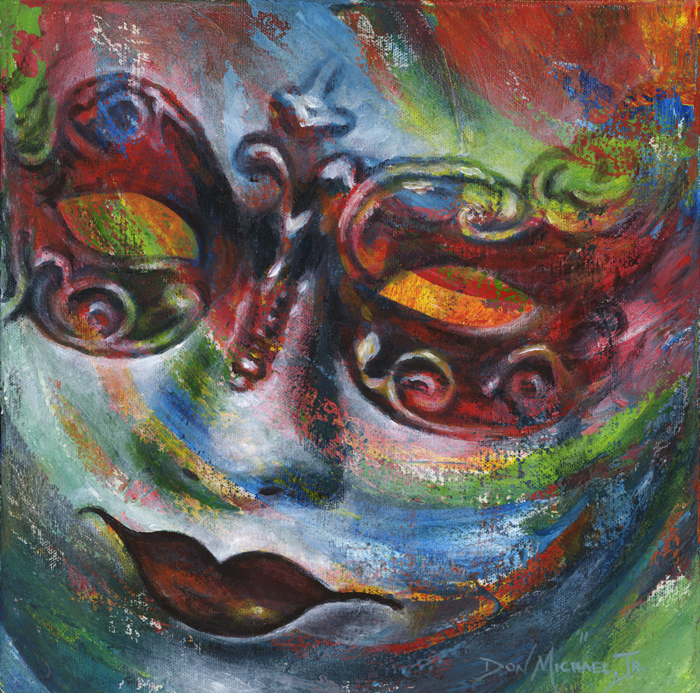 Reese – Acrylic on paper mache mask – ©2011, Don Michael, Jr. If anyone is interested in any of these feel free to email me at: don@donmichaeljr.com. 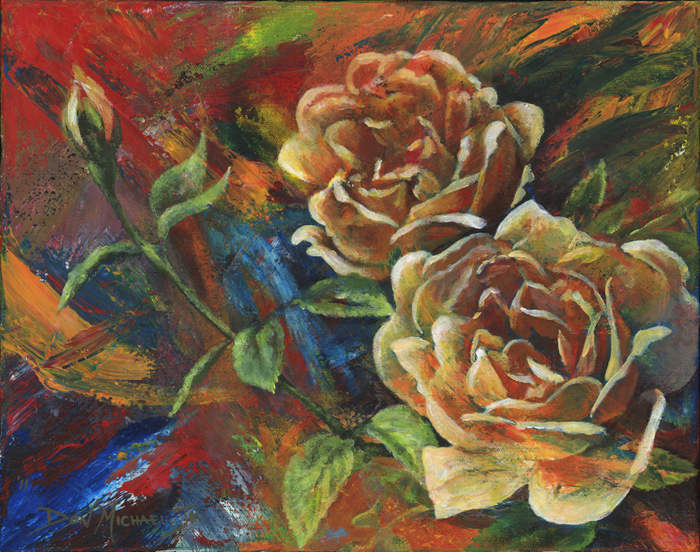 Now it’s time to get back to the easel. 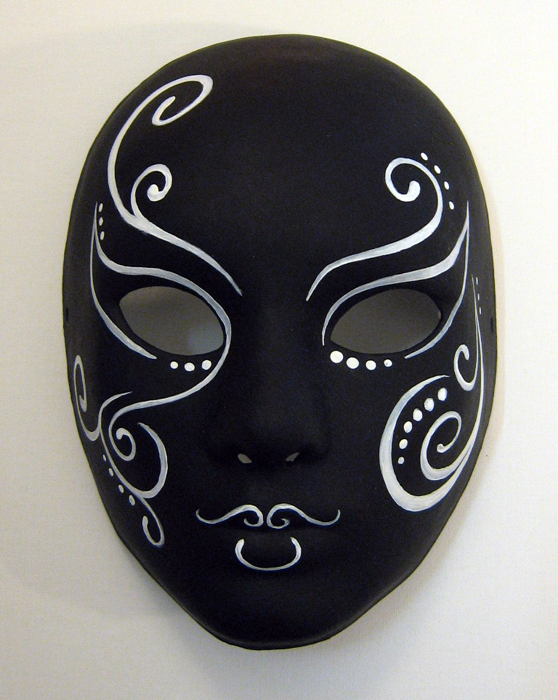 As I continue experimenting with painting and decorating my own masks to be used for future subject matter I decided it was time to go totally black and white with one of them. 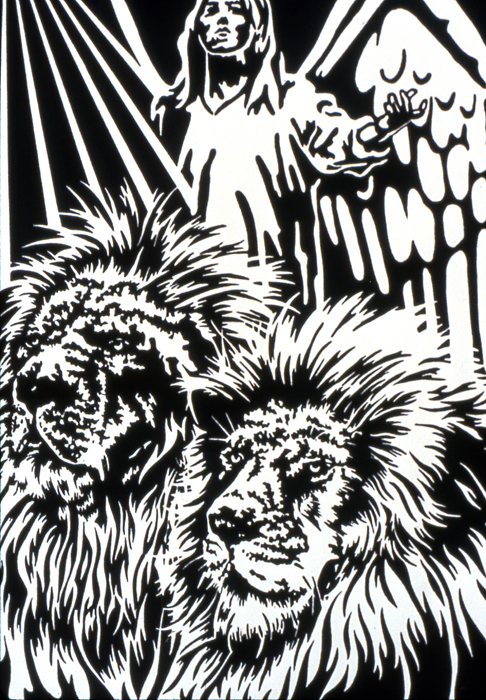 There is still a little more work that I’ll put into this one, but I’m really excited about how it’s coming along. 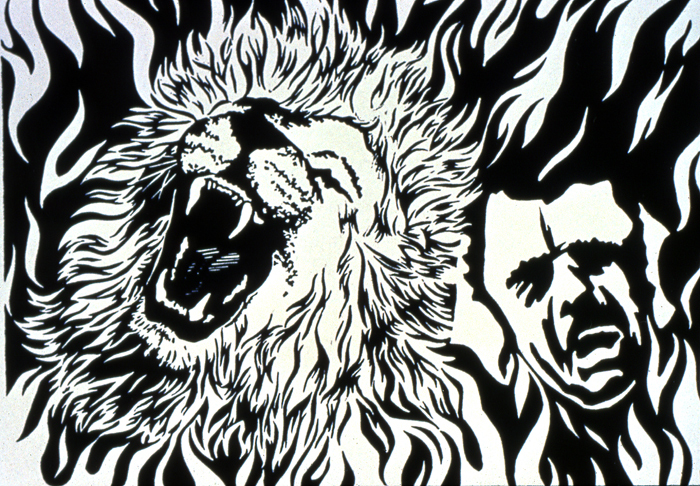 I liked the intensity of the final product, but was a bit disappointed with my transitions from the mane to flames and how they related to the man. I addressed those issues in the next edition which also was based on that same scripture. 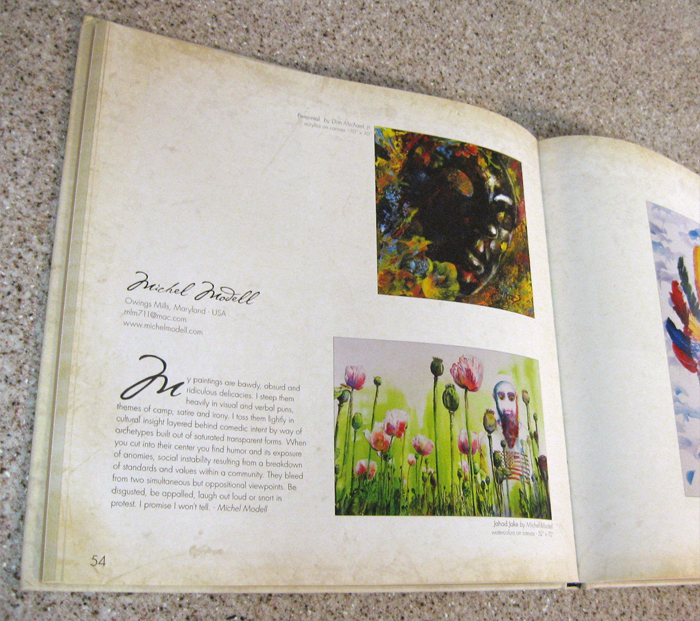 …and then surprise turned to outright excitement when I turned the page and found another of my paintings! The 2nd bit of good news that arrived in the mail yesterday was an acceptance notice from The Coos Museum in Coos Bay, Oregon. 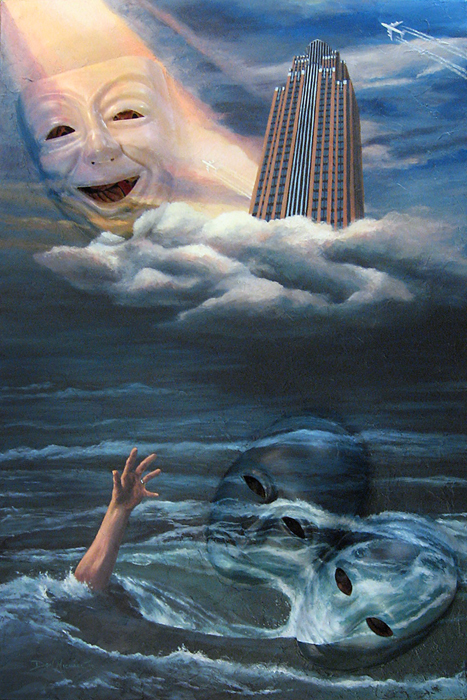 My painting Cult of Personality was accepted into their show Expressions West 2011 which will run from April 8 through May 28 of this year. 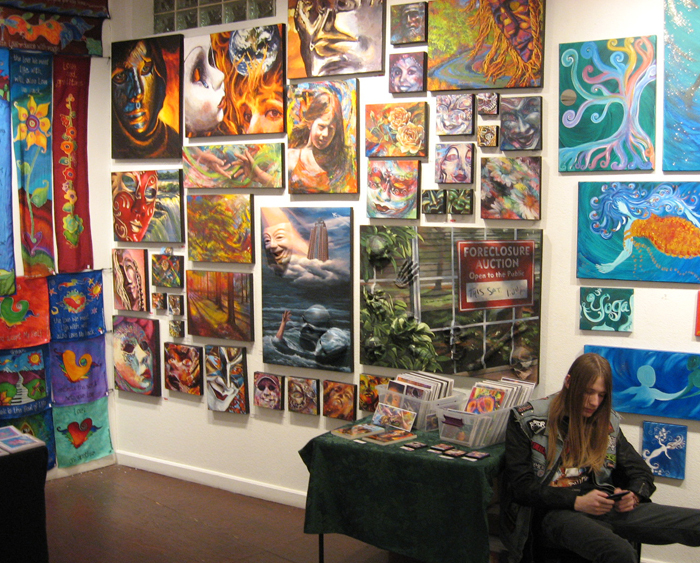 If any of my friends in Oregon are in the area, be sure to stop by and check it out. 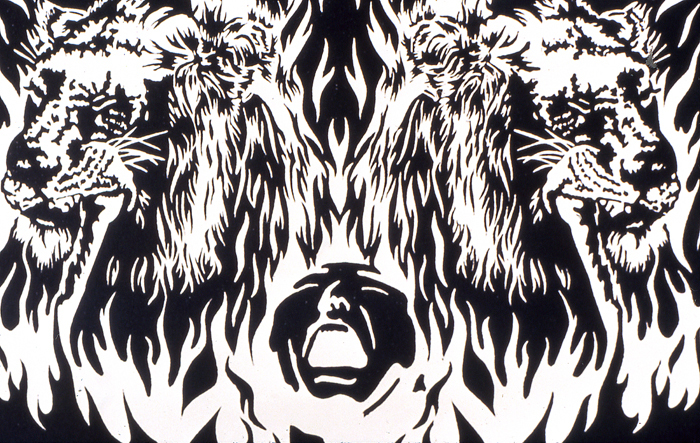 Cult of Personality – ©2009, Don Michael, Jr.
Loan Modification Request – ©2010, Don Michael, Jr. The title for Shine On occurred to me when the song “Shine on You Crazy Diamond” by Pink Floyd showed up during the rotation on my i-Tunes. That song is a dedication to their close friend and former bandmate who’s use of psychedelic drugs caused him to spiral into dementia. It’s a hauntingly beautiful song which seemed to fit this painting with its shiny surface and the way the patterns on its face seem to spiral around the composition. 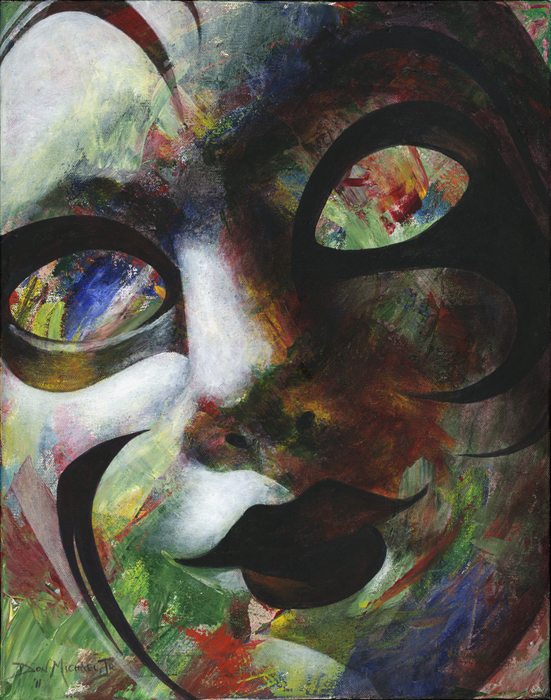 During a pause while working on this painting I decided to experiment on another mask. For this one I wanted to give the illusion of hammered metal for the pattern. To achieve this I bought a bottle of 3D paint – which is used for painting/decorating t-shirts and other garments – and applied it to the mask, creating an outline around the shapes I wanted. After that dried I applied a coat of white gesso to the whole thing, followed by Golden’s Iridescent Pearl acrylic paint. 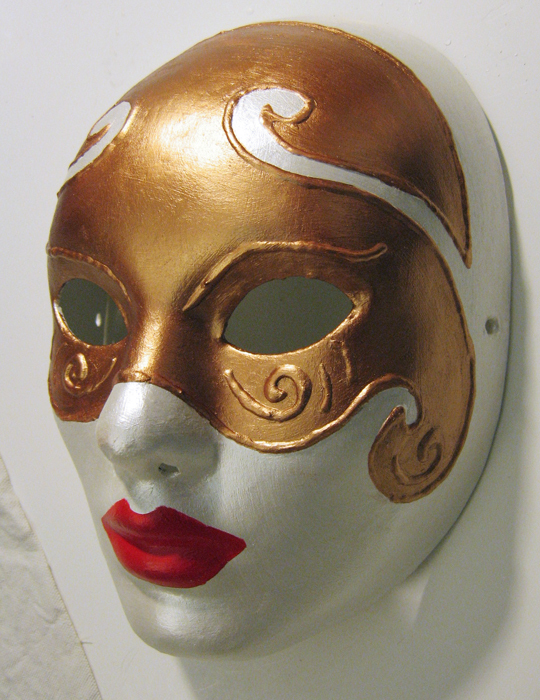 I then used Golden’s Iridescent Copper on just the ‘mask’ area and Golden’s Pyrrole Red for the lips. It was a great learning experiment. I see several things I’ll do differently in the future, but overall I’m pretty happy with the final results. Just talking about all this fun has me itching to get back to the studio and play some more – so, I think I will. 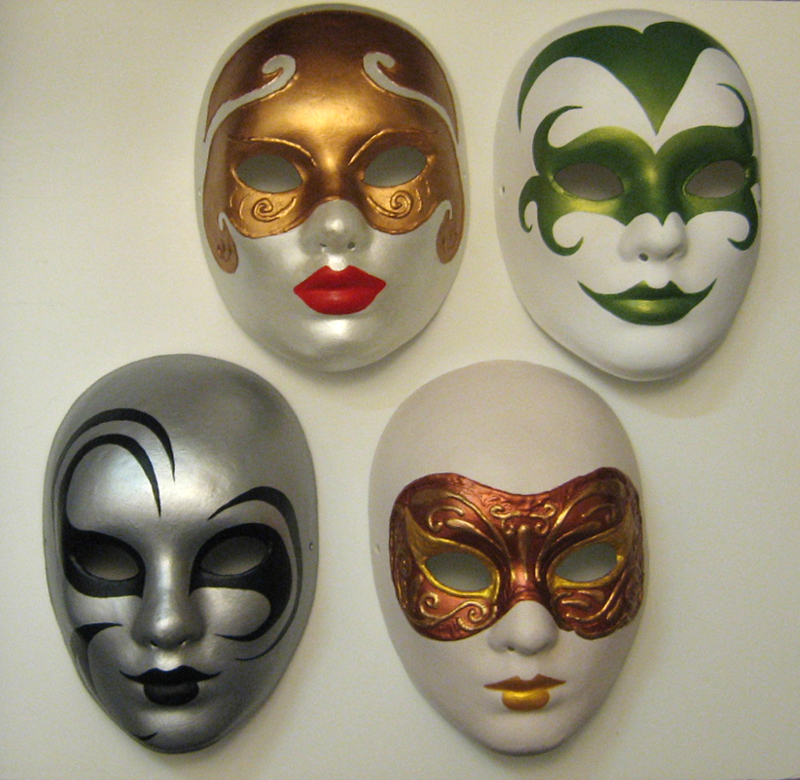 Yesterday I decided it was time to create some new masks to paint from. 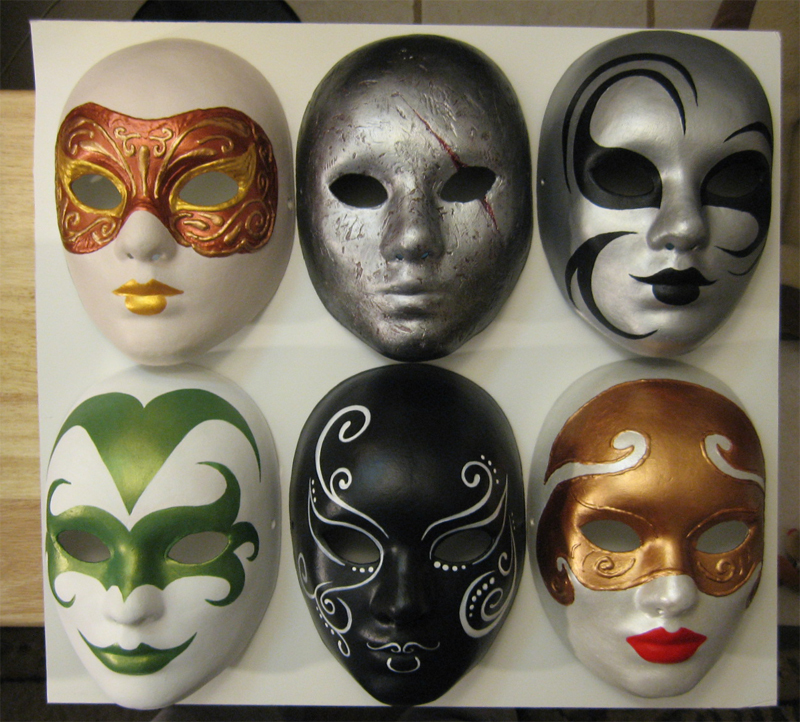 I thought about some of my favorite masks and what it was about them that I enjoyed. 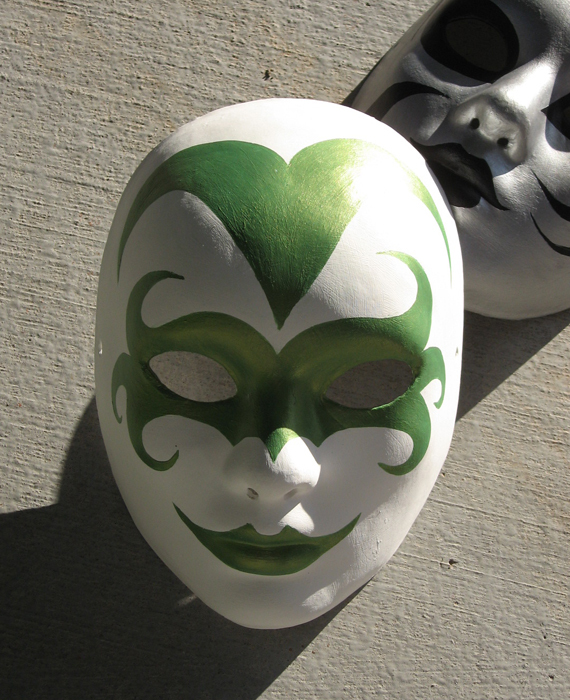 Then, with no real plan I just started painting some swoops and swirls on a couple of blank paper mache’ masks I had laying around. 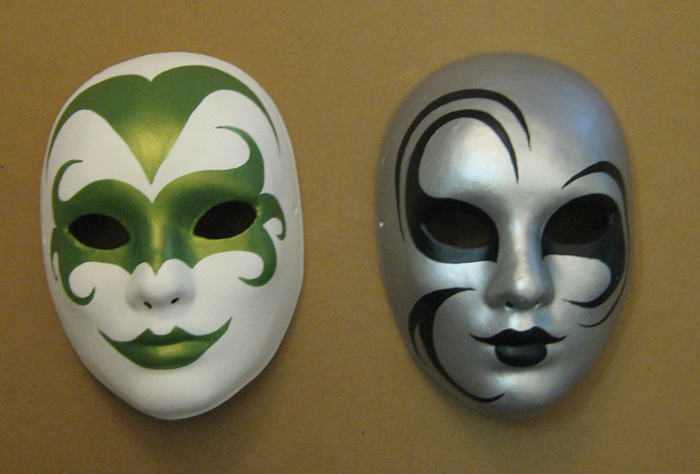 I had painted the one on the right silver a while back and then used it to work from when painting End of Days and Fearless. I thought just black for its swoops and swirls would work well and I’m happy with the results.